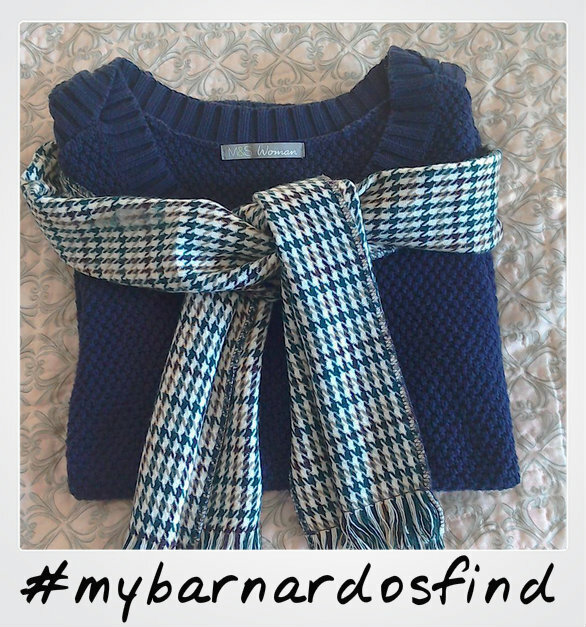 We love seeing all of your fabulous #mybarnardosfind posts, so we’ve chosen some of our favourites from this week! Thank you to everyone who pops into our stores to buy and donate – the profits from every purchase help to transform the lives of the UK’s most vulnerable and disadvantaged children and young people. 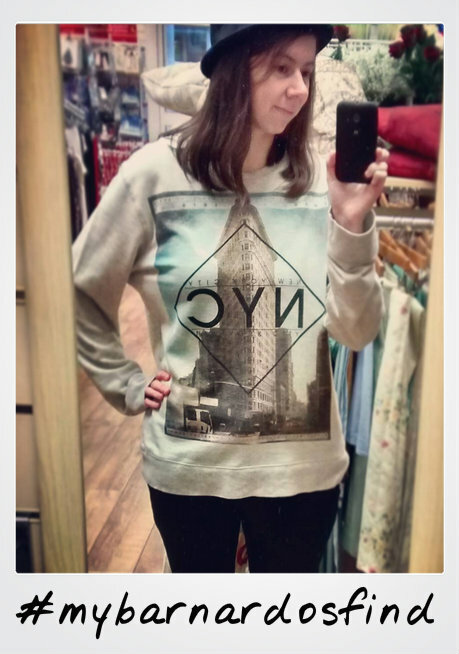 Our first fabulous find is from @ecrivaine_inquiete who found this outfit in our Stourbridge store. She paired this sweatshirt which was originally from Burton with new Soon jeans (RRP £20!) and completed the outfit with an H&M hat to create the perfect casual look. This entire outfit came to just £11 – what a bargain! Our next little combo is one of our biggest bargains of the week and from one of our great stores in Plymouth. Emily Mahon (@molovescheap) came across this lovely jumper (originally from Marks & Spencer) and scarf for the tiny total of just £1! 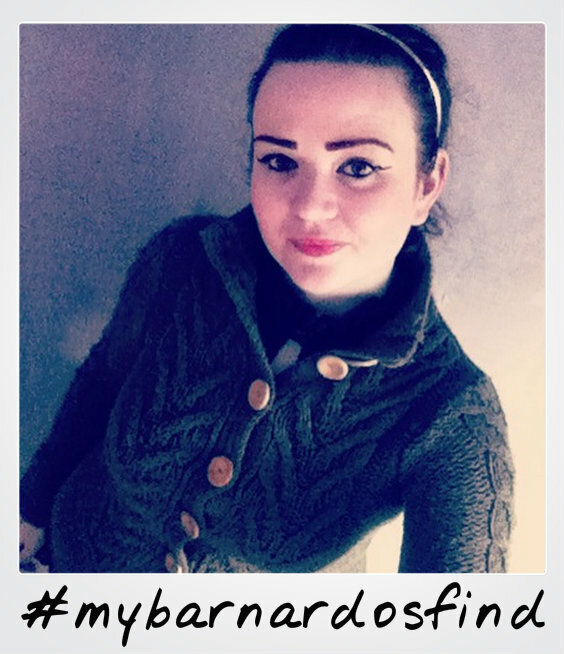 Helena (@helzbargs) bought this lovely and cosy knitted cardigan for just £1.99. It was originally a Miss Selfridge purchase and in excellent condition which she can keep rocking for the next few winters to come. Next up is Charlotte Adams (@charityshopgold) who brought this lovely cosy looking jumper dress and shirt for just 99p apiece in her local store up in Manchester. We love a good jumper dress to see us through the cold days – great find Charlotte! 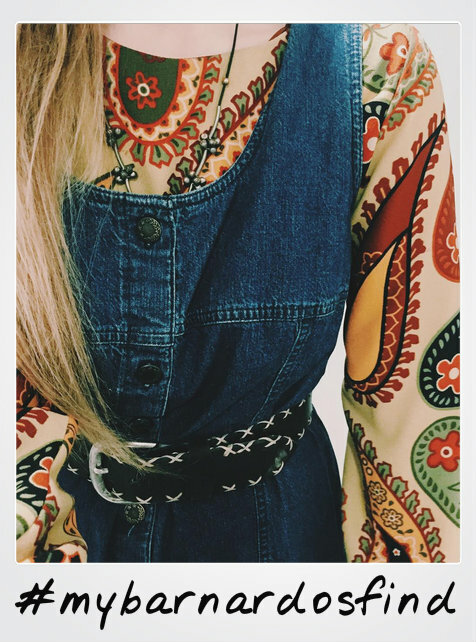 Last but not least Anna Houghton (@anna_jane_houghton) came across this retro denim dress in her local store, adding a groovy and trendy 70s vibe with a paisley blouse, and belting it at the waist. This is such a beautiful and unique look. Time to get shopping! Head down to your local store and see which beautiful outfits you can put together. 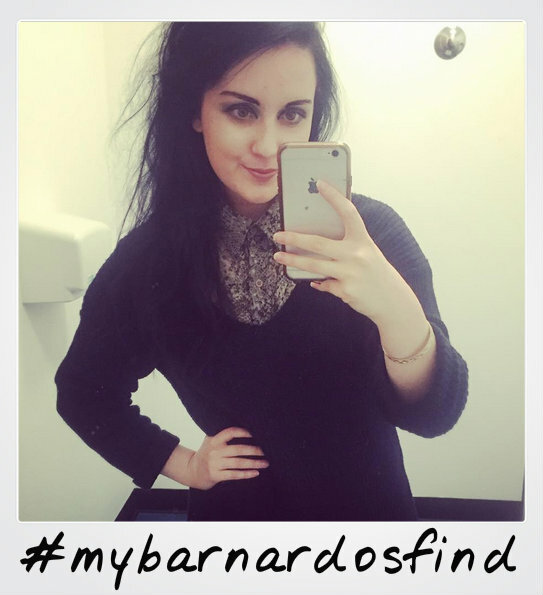 Share your photos on Instagram @BarnardosRetail and using #MyBarnardosFind to have a chance of being featured in one of our upcoming blogs!